Vinyl Flooring has come a long ways since being the staple in kitchens for so many years. While many people are seeking porcelain or natural stone for their kitchens if budget is an issue then you should check out vinyl. Sheet vinyl now has beautiful patterns that mimic natural stone and wood. Sheet Vinyl is very easy to install and will not break your wallet! 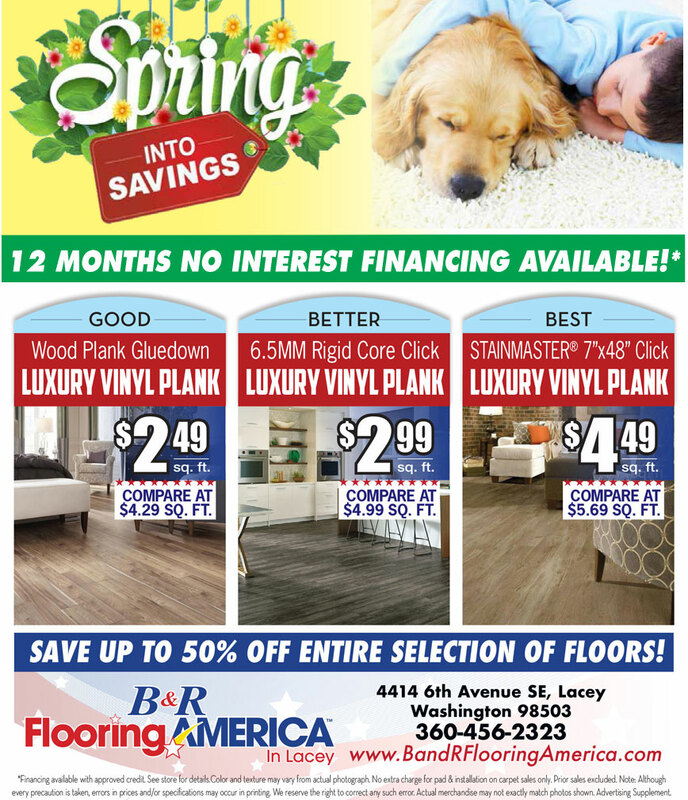 We have the greatest selection of waterproof flooring in Lacey! It’s the hottest flooring on the market! Known for its realistic natural wood and stone styles, durability and waterproof capabilities, waterproof flooring has become sought after and is now the number one selling floor across the country! Waterproof flooring gives home and business owners alike a wood alternative that is all-around less fussy and easier to care for. Waterproof Flooring is like the new laminate on the wood-look flooring scene. Previously used in more commercial spaces, waterproof flooring is very popular for new homes, remodels and house flips. Homeowners are falling in love with waterproof flooring’s perfect combination of style and versatility. The solid vinyl core makes up most of the flooring. This high-density core layer is moisture resistant, durable, and built to last. Gorgeous photo imagery makes the waterproof flooring look identical to natural stone and wood. Your waterproof flooring protector. It helps protect your floor from dents, scratches, etc. The thicker the wear layer, the better your floor is protected. 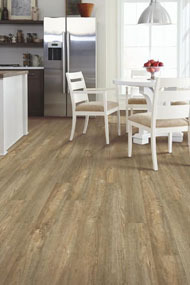 LVT, or Luxury Vinyl Tile is installed like tile and some brands can even be grouted. 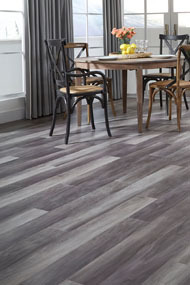 LVP or Luxury Vinyl Plank has the look of real wood but with the easy care of waterproof flooring. 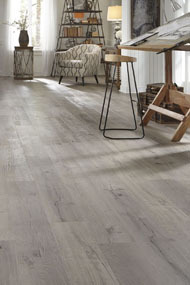 LVT / LVP are the hottest floors around today because of the beauty and resilience and affordability. Modern technology has taken giant leaps forward with waterproof flooring. Waterproof Flooring definitely deserves a second look!